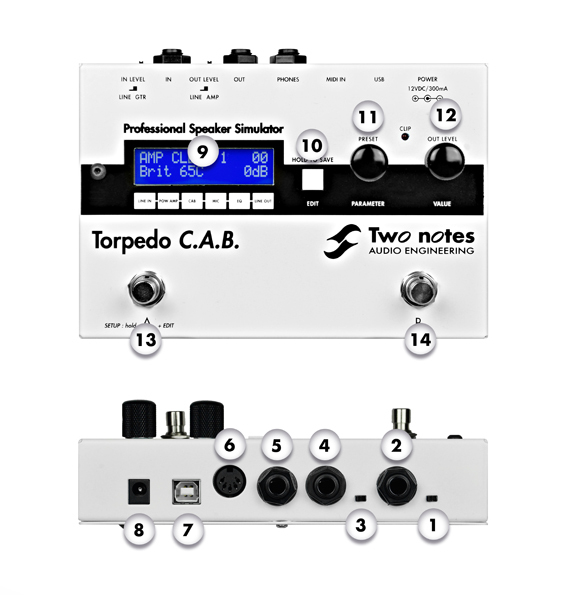 The Torpedo C.A.B. takes place on a pedalboard, after a preamp, among your usual stompboxes. The best results are achieved by placing it before the time-based and modulation effects (chorus, delay, reverb…), which then become brigther and clearer. This position also allows to take advantage of the possible stereo of these effects. This is similar to the way things are done in the studio, where modulations are often applied to guitar and bass tracks after recording.